How to Buy Smart During Canada’s Trade War With the U.S.
As Washington and Ottawa go head-to-head, your wallet may get caught in the crossfire. Here, a look at the collateral damage and how to avoid it. The tariff wars have begun. Effective July 1, Canada imposed hundreds of duties on American products as retaliation for American tariffs on aluminum and steel from Canada. The concept is to hit U.S. exporters sending goods to Canada with costs that match the hit Canadian exporters are taking when they send products to the U.S.
For consumers in Canada, the new tariffs are a maze of trivial charges on such things as licorice, candy and toffee, non-frozen orange juice, mayonnaise, salad dressing, soups and broths, ketchup, shaving cream, bobbins and spools, thin sheets of plywood and automatic dishwasher detergent. Canada is hitting back with tariffs on 229 goods. Many tariffs are focused on goods from states that voted for President Trump in 2016, e.g., bourbon from Kentucky, which is the home of Senate majority leader and Republican éminence grise Mitch McConnell, and dairy products from speaker of the House Paul Ryan’s home of Wisconsin. There are two kinds of products on the list targeting Canada – industrial inputs like various kinds of steel and pipe that will be subject to a 25 per cent duty and consumer goods to be hit with 10 per cent duties. The list has obscure stuff most people have never heard of like silico-manganese steel. The trade spat is politics and old politics at that. But, first, a word of explanation. Though targeted to have an expected harm on a country or industry, tariffs usually do not work well. Indeed, as we’ll see, they tend to have the effect of hurting the country imposing the tariffs as much or more than the target of the tariffs. 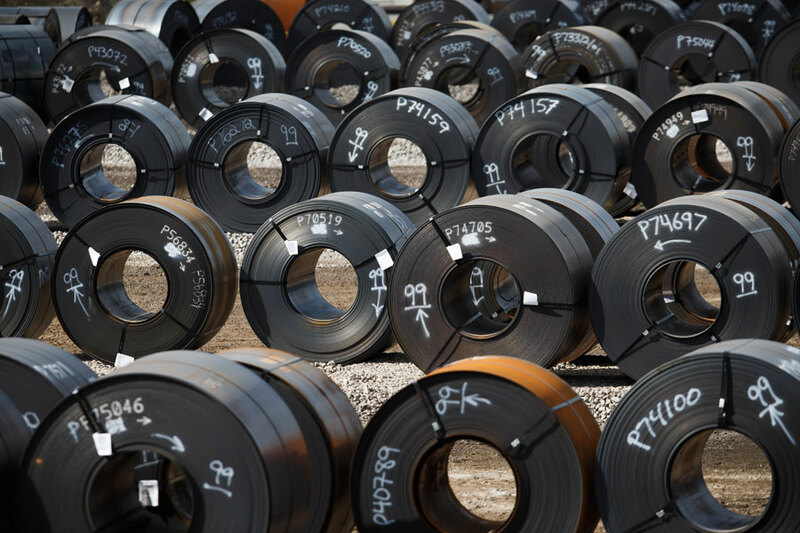 If Country A – the U.S., of course – adds tariffs to, say, steel (as the U.S. has done to Canadian rolled and sheet metal) and the product is widely used, as steel is and aluminum is, costs of production rise, driving up Country A’s cost of living. The central bank, in this case, the Federal Reserve Board, sees inflation rising and raises interest rates to counter it. Foreign investors and large foreign banks see higher rates and buy American dollars to park their cash. Buying U.S. dollars by the billions, for this is the daily volume of foreign currency markets, drives up the price of the U.S. dollar in terms of other currencies and then makes U.S. products more expensive. So the U.S. markets supposedly protected by tariffs on Round 1 soon find that goods are harder to export. Sales fall. The country hit by tariffs, Country B – Canada – finds its global sales falling. The Bank of Canada sees a reduction of inflation and so cuts interest rates. Less foreign money flows to Canada. Our dollar declines in international value. Our goods are now cheaper in foreign dollar terms. We sell more. None of this is news. What is news is that the United States has started the kind of trade war practised two centuries ago. The concept of raising a tax wall against the world to protect the mother country, a theory known as mercantilism, which had been in fashion since before the reign of Elizabeth I in the 16th century, became discredited when Britain became a great manufacturing centre. Britain began to cut its tariffs starting in the early 19th century after Napoleon was dispatched to exile and it no longer needed protection. Tariffs were in disrepute after the world wars. Beginning in the 1950s, Europe and much of the world moved to reduce and then eliminate thousands of tariffs. Trump is bringing them back for political reasons. Economists long ago proved the obvious: when slapped by every country against every other country, tariffs wind up doing no good. They supposedly shift purchasing power to the governments that levy them, but when they work, they reduce trade and therefore have little benefit for the treasuries of the countries supposedly protected. They do tend to shrivel output and wind up cutting gross domestic product, GDP, which is the sum of everything made in a nation. Tariffs are deflationary, for they divert spending power to government tax collectors and cascade from the grocery store where they make products more expensive to the restaurants that serve them further marked up by operating costs and sales taxes. Those who must pay lose. Those who wheedle them down or cleverly evade them may win. Now duties are back with a vengeance. And that is the right word, for President Trump has complained of “unfair” treatment by Canada, and Canada, which really has no other choice, is retaliating. Other countries including China, also hit with fresh American tariffs, are doing the same politically focused trade taxation. Note that only new goods entering Canada after July 1 are affected. Stuff already here may be repriced – liquor boards tend to do that – but goods such as used cars have their pre-tariff prices baked in and are heavily discounted from new car costs. Beggar-thy-neighbour trade taxes have made loopholes and, for the astute buyer, there are many ways out. Duties on consumer goods are often avoidable by shopping for goods made in places other than the U.S. or by doing stuff yourself such as making your own soup or sometimes by just reading the label to see where stuff is from. The U.S., it should be noted, has demanded country of origin labelling to discourage shoppers from buying supposedly inferior non-U.S.-origin food products. Now that may come back to haunt them. Many things are not being hit with import duties. Services, for example, are not on the list. 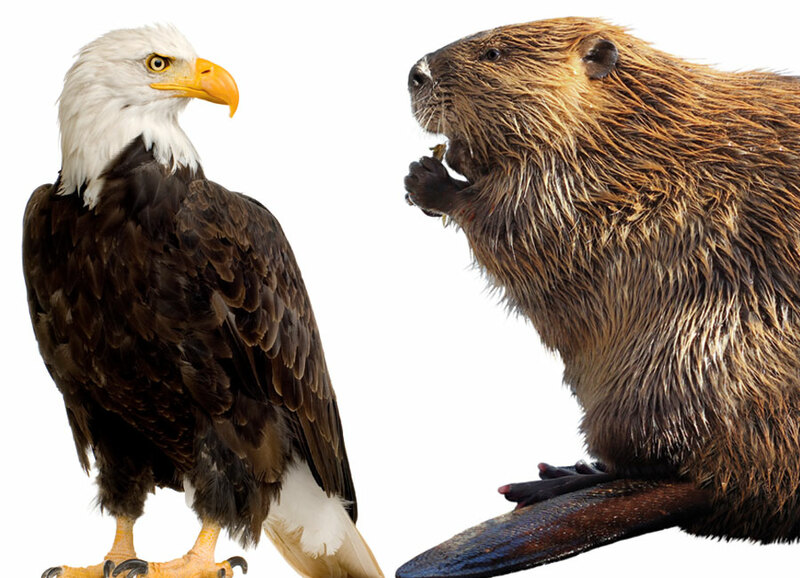 Trying to tax advice from U.S. lawyers or accountants advising Canadian companies would be futile. Nobody knows how to beat a tax better than those people, after all. And intellectual services such as computer management or developing software code that may operate in the cloud, which is no place in particular, cannot be hit with national-source duties. But many goods are on the list of targets. 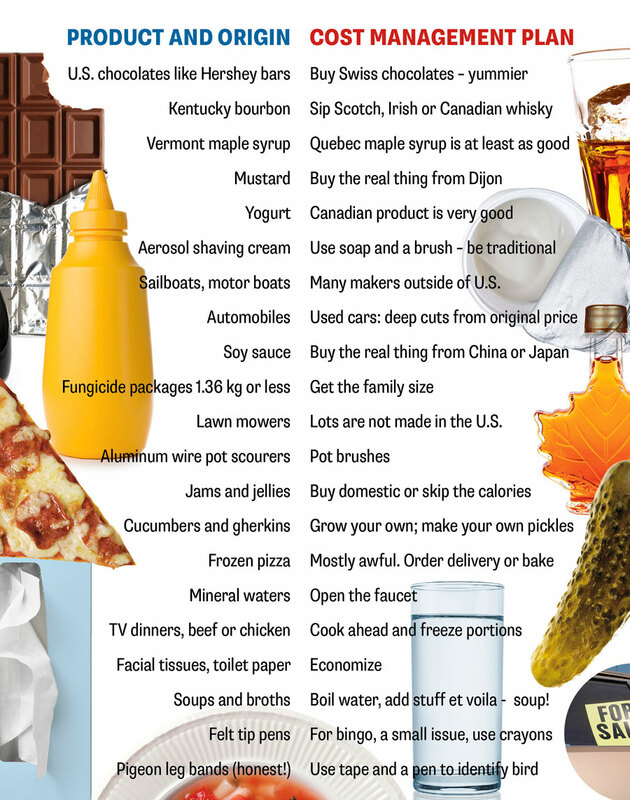 We offer, herewith, a selection of products socked with tariffs by the Government of Canada effective July 1 and ways to avoid paying higher prices. The list can be found at qz.com. A version of this story “Trade War” appeared in the Sept. 2018 issue of Zoomer magazine.